Hello friends, thanks for calling by. 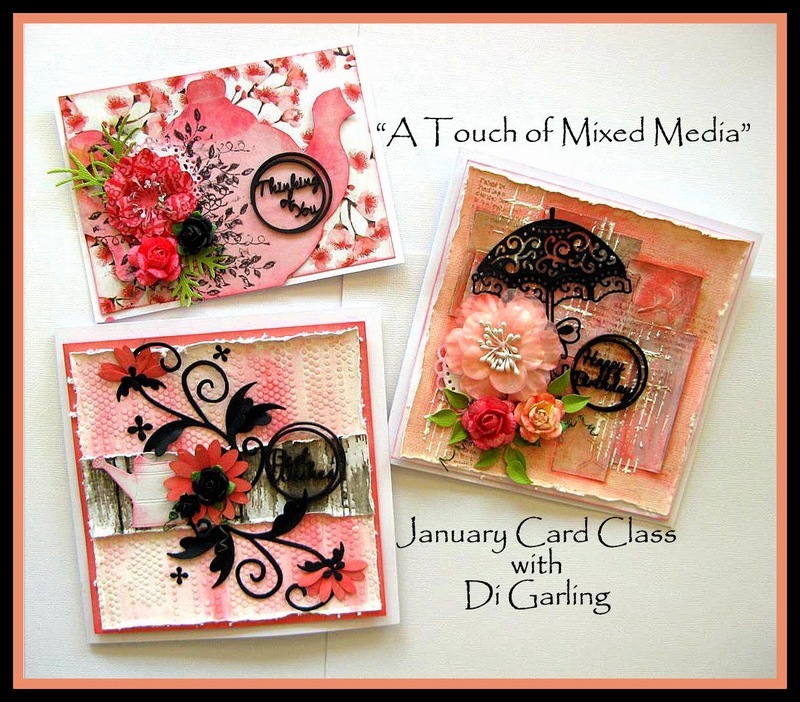 Today I have the cards that we will be making in both our January Card Classes. This month we will be doing a little "Mixed Media" as well as this sweet little teapot card & the teapot actually opens!!! Hope to see you in class. Class Times Friday 16th January 10am to 2pm OR Friday 23rd January 10am to 2pm Cost is $35 for the 4 hour class & includes all materials. Even if you are a beginner we help you along the way & you will soon be making cards like a pro. Ring the shop on 433-44451 to reserve your place as our card classes fill up quickly.